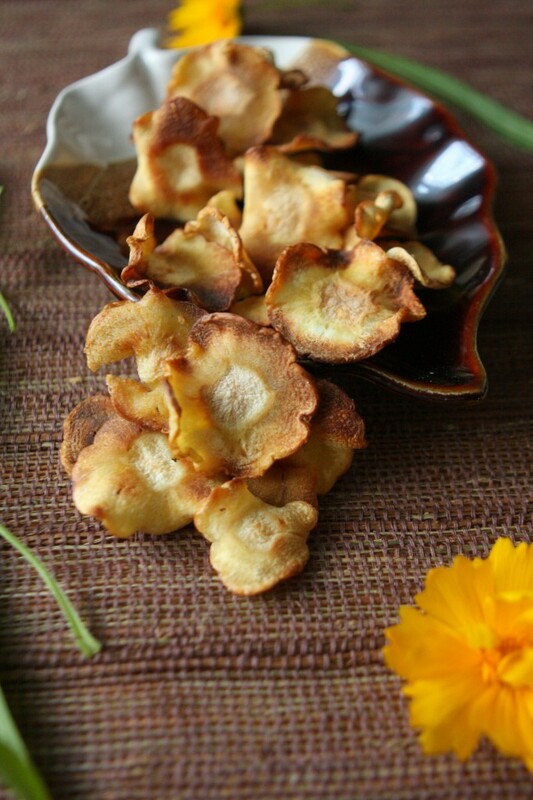 I really miss snacking on a salty crunchy carb. There are days, I will admit, I totally pine for potatoes but secretly wonder if there might be a (slightly) healthier alternative? 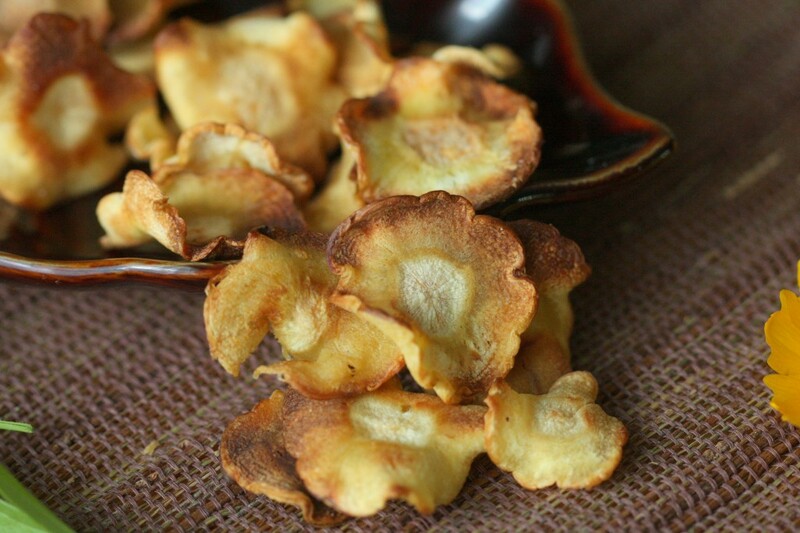 I’ve tried baking beets and sweet potato chips- but they just aren’t that pale crunchy potato-y treat. (sidebar- I so totally know potato-y isn’t a word. lol) — Parsnips, however. Parsnips are another ballgame altogether. They are nowhere near the same flavour of beet chips or sweet potato chips. They are so, so much better. I’m thinking I have to try this method on yucca, on cassava, and heck, even on plantains! 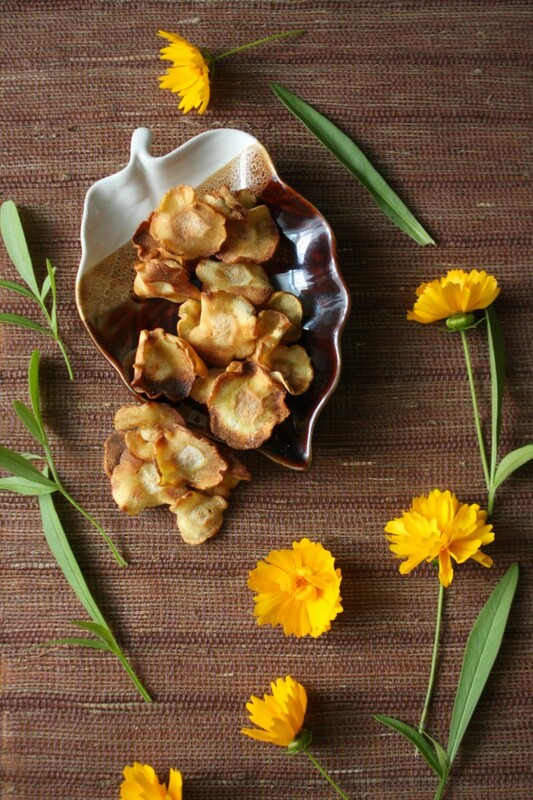 These chips are crispy, light, and just about as close to potato-y as you can get- so if you are a Nightshade-free person, you are in some serious luck! I’ve discovered there is a trick to making these. 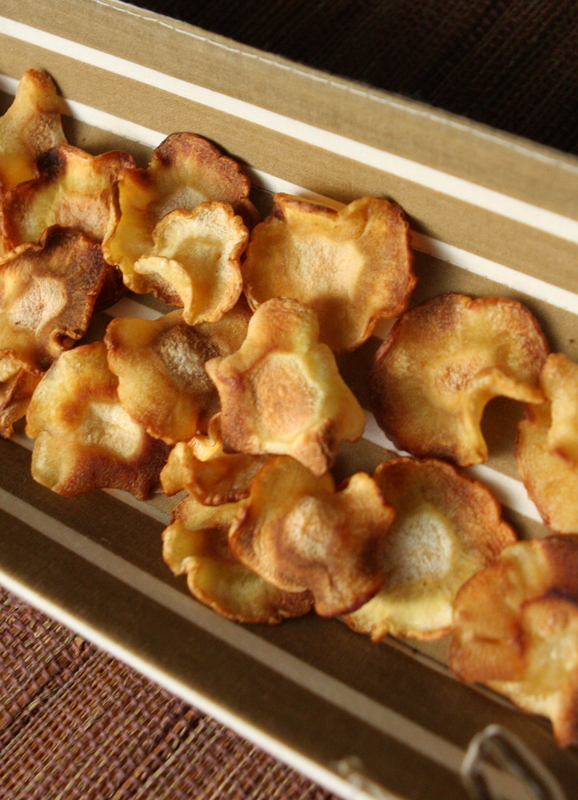 Thanks to Martha Stewart’s method, your chips can now be pretty, and fairly evenly cooked! Wash and dry your parsnips. Don’t peel them- the skins help prevent the edges from burning too fast. Slice the parsnips using a mandoline, or your food processor. You want thin, evenly sliced rounds. Lay over top your parsnips a second cookie sheet (make sure it fits the bottom sheet). This presses them down and makes them crispier. Bake for 20 min at 350. At the 10 min mark, rotate your cookie sheet. After 20 min, remove the top cookie sheet, and continue baking 10-20 min. Careful- they burn easily!